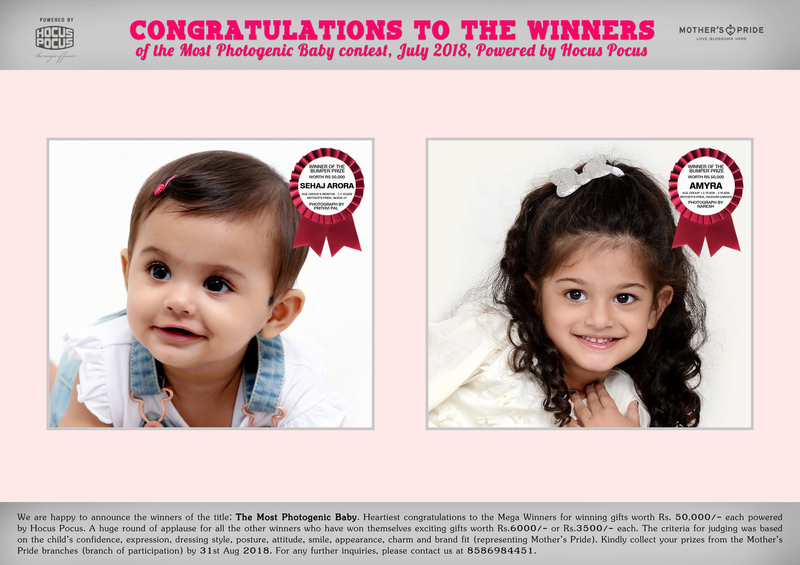 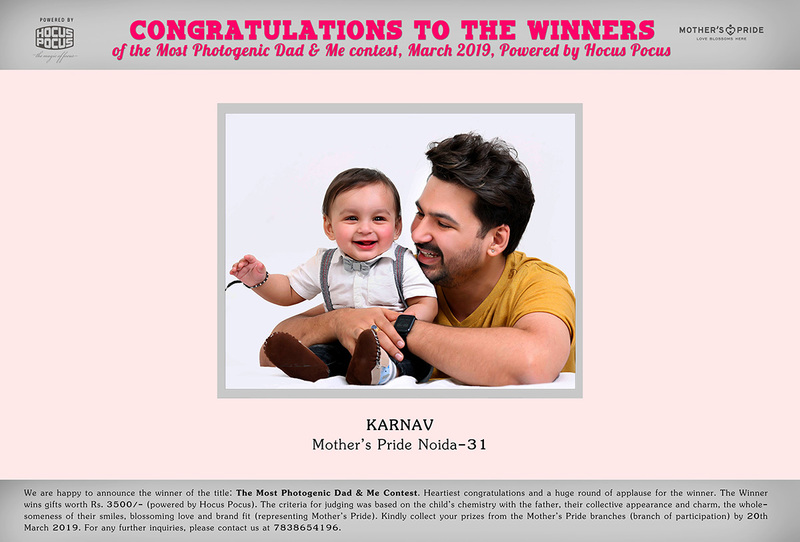 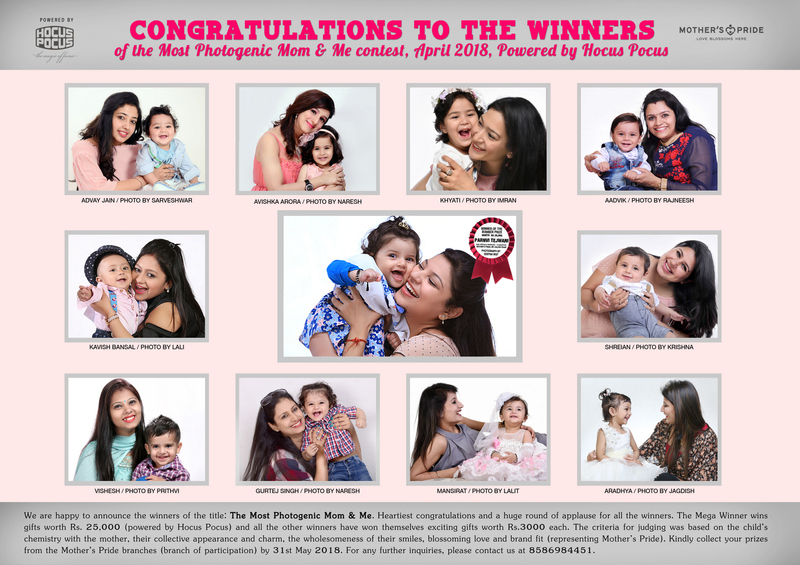 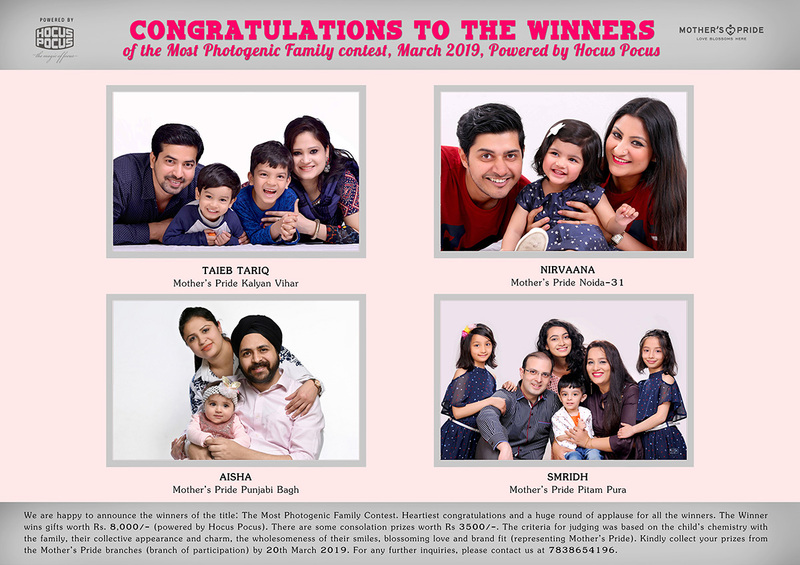 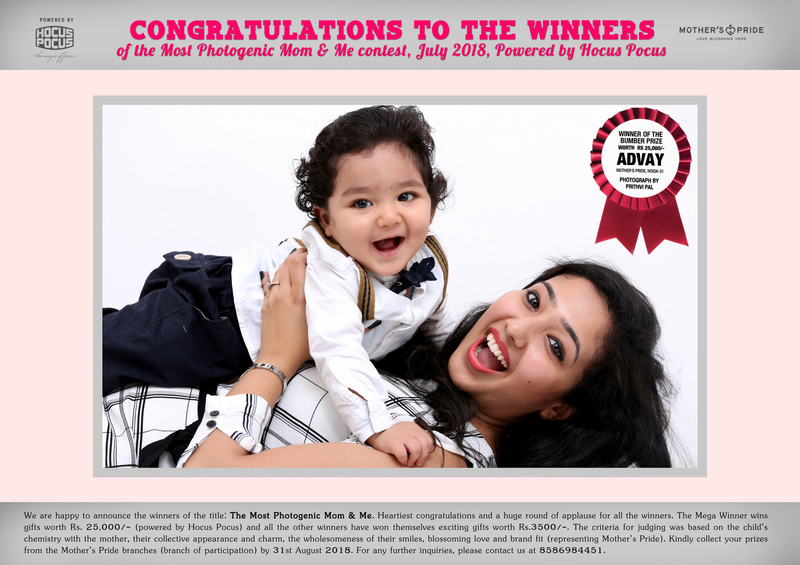 We are happy to announce the winners of the title:'The Most Photogenic Baby'. 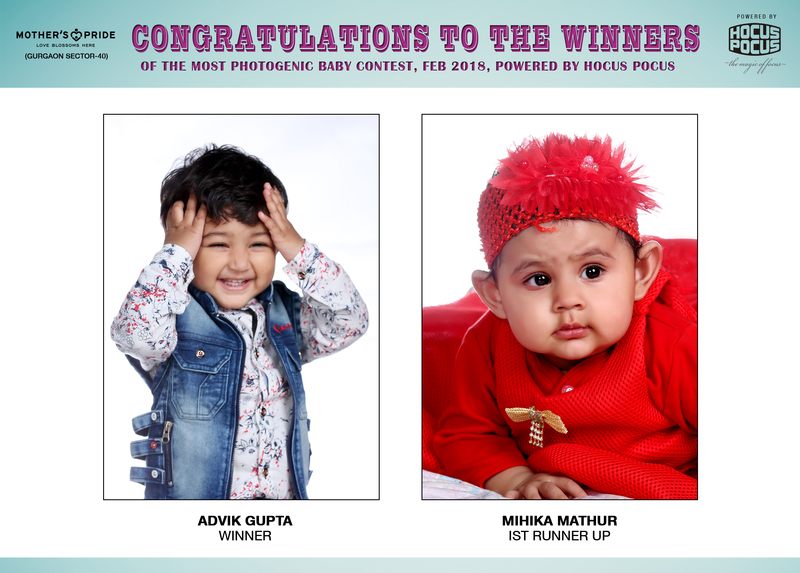 Heartiest congratulations to the winners for winning gifts worth Rs. 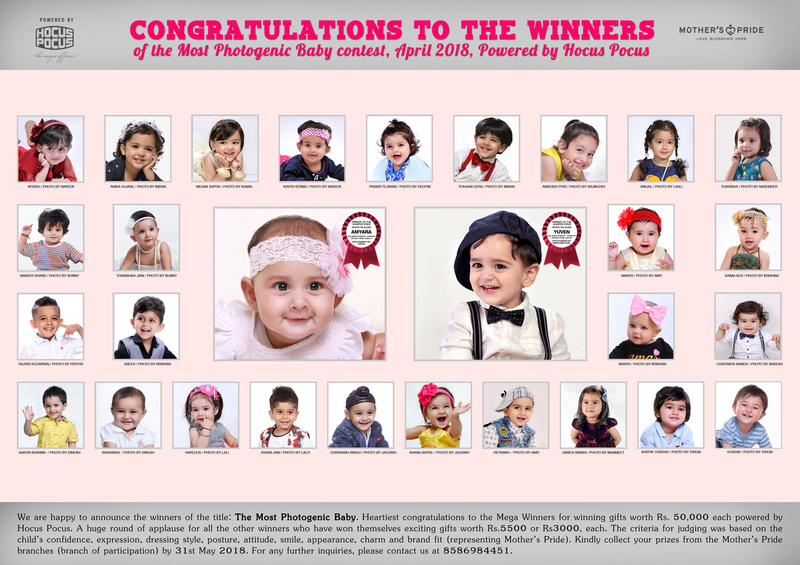 50,000 each powered by Hocus Pocus. 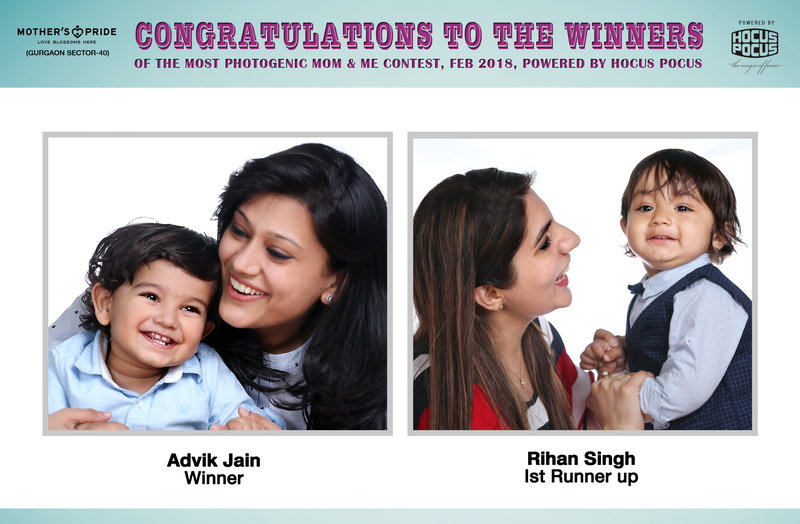 A huge round of applause for all the other winners who have won themselves exciting gifts worth Rs.5500, each. 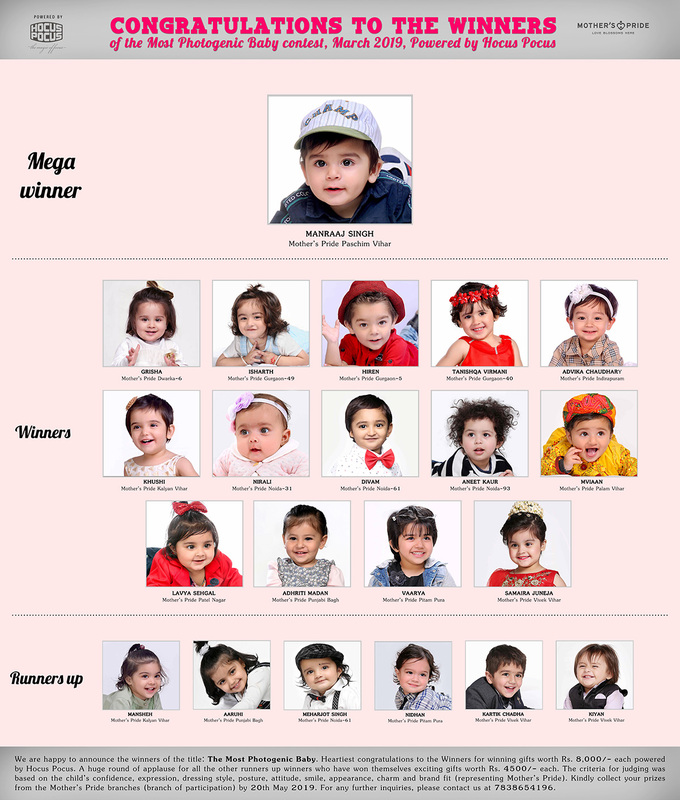 The criteria for judging was based on the child’s confidence, expression, dressing style, posture, attitude, smile, appearance, charm and brand fit (representing Mother’s pride). 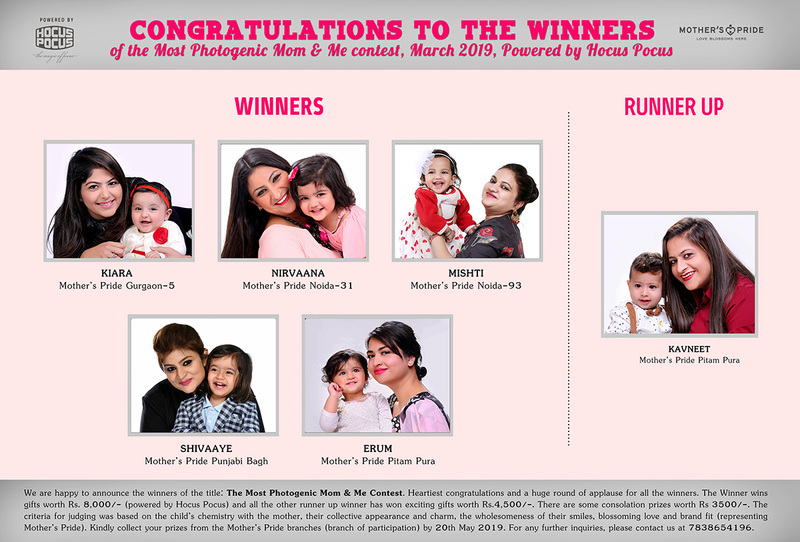 Kindly collect your prizes from the Mother’s Pride branches (branch of participation) .